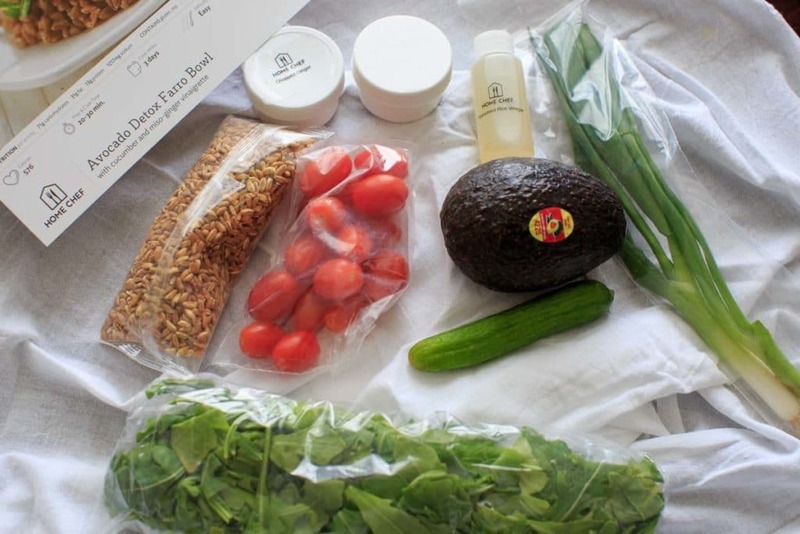 Have you ever tried a meal delivery service like Home Chef? This is my (unpaid) review and thoughts on my experience with Home Chef, and how to get the most benefit out of the trial period. I hear from a lot of you that your biggest challenge in the kitchen is time, and not enough of it. Meal delivery services can cut down on the time it takes to meal plan and grocery shop, so I thought this would be a fun experiment to see which services are worth it. 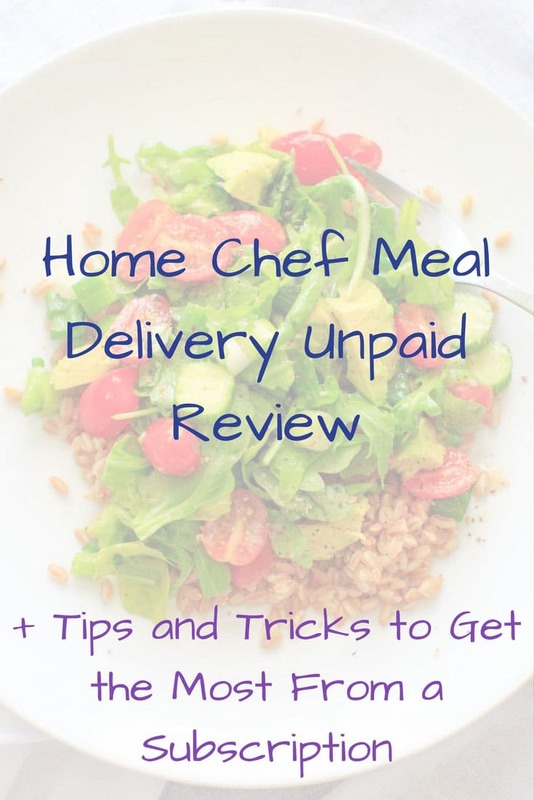 If you’re ready to try Home Chef without reading my review, here’s a coupon link for $30 off! There are lots of paid reviews of meal delivery services out there, so I wanted to make sure I was speaking from a true customers perspective. All non-premium meals are priced at $9.95 per serving (before coupons). Ingredients are shipped to your door in an insulated box. You still need to cook the meals, which average around 30 minutes to make. Delivery is free on the first order and on future orders over $45. They deliver to 98% of the U.S.
You can order between 4 and 36 meal servings per week! Meal choices change every week, and there are usually 3 vegetarian options among the 10-12 recipes. Easy to get started, change delivery frequency, or cancel. Signing up through a referral link like this one or using a coupon code can save you $30 off your first order. If you additionally go through Mr. Rebates (referral) before checking out, you’ll get an extra 20% back. Doing these steps essentially made my order $23.76, or $3.96 per serving instead of $9.95. Choose how many meals you want to cook (between 2-6) and how many people per meal you are cooking for (2, 4 or 6). They ask your meal preferences (e.g. vegetarian, low-carb, low-calorie) and if there are certain ingredients you avoid (e.g. dairy, gluten, soy). Note that this does not remove the option to choose other meals in a later step if you change your mind, it will just remember your preferences for default suggestions. Next they will choose a set of meals for you based on your preferences, which you can swap out with other available recipes as needed. You have until Friday at noon (CST) to make your meal choices and choose a delivery date of the following Tuesday-Friday. You can browse the menus and order up to 5 weeks ahead of time. The ingredients and recipes all came in a well-insulated box. A binder was also included if you want to keep all your Home Chef recipe cards for future reference. 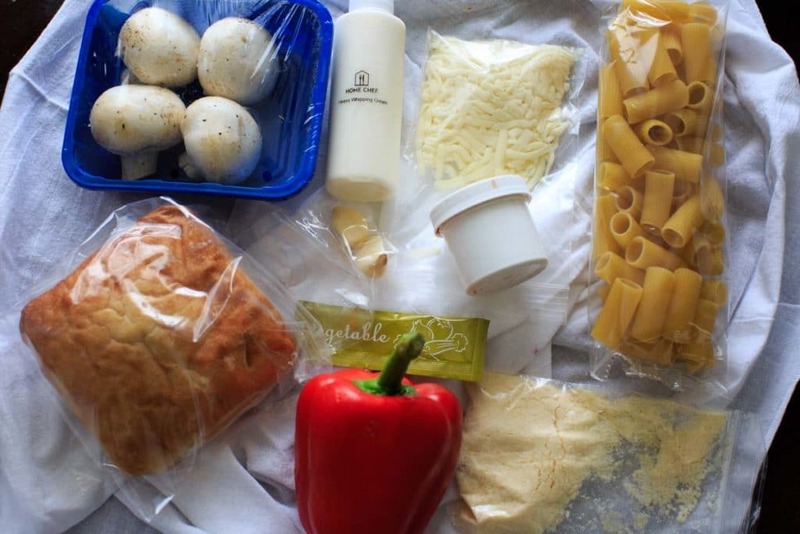 Each recipe’s ingredients were in their own bag, which was very helpful. Though some of the ingredient labels were missing (and one ingredient was missing entirely!) this at least helped sort the food. There are 10-12 meal recipes to choose from each week, but only usually 3 of which are vegetarian. There is also a smoothie option and a fruit basket option each week, available as add-ons. The cost for what you get on the smoothie and fruit did not seem worth it ($4.95 per serving) so I didn’t try those. 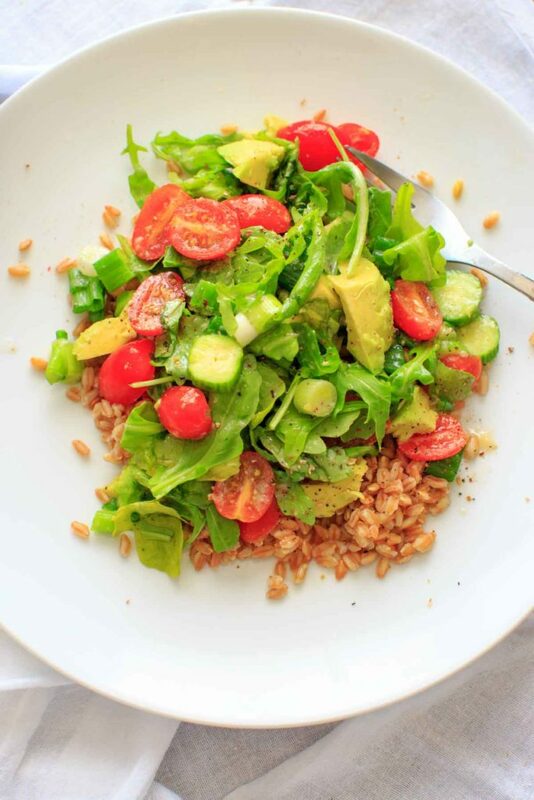 The Avocado Farro was by far my favorite. I also really liked the salsa that came with the quesadillas. 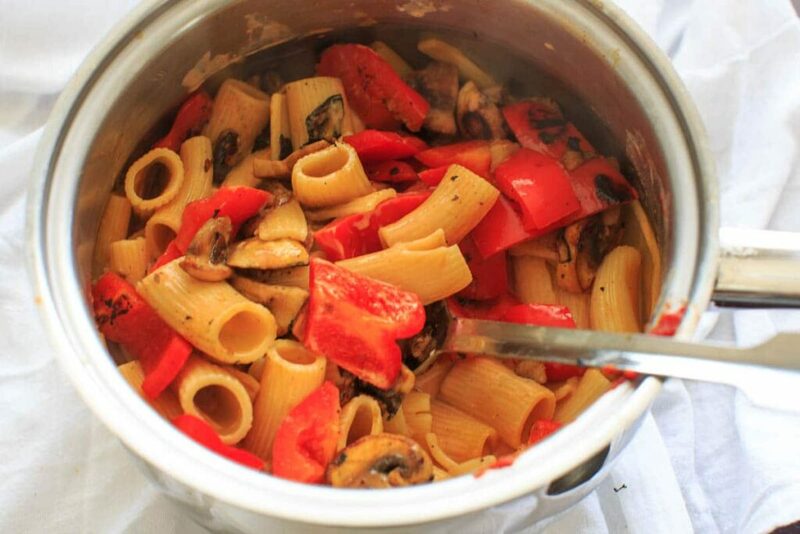 The pasta was my least favorite, but that might be because my cheesy croutons (that were made from a ciabatta roll) didn’t really turn out, so it was more of a simple pasta recipe. 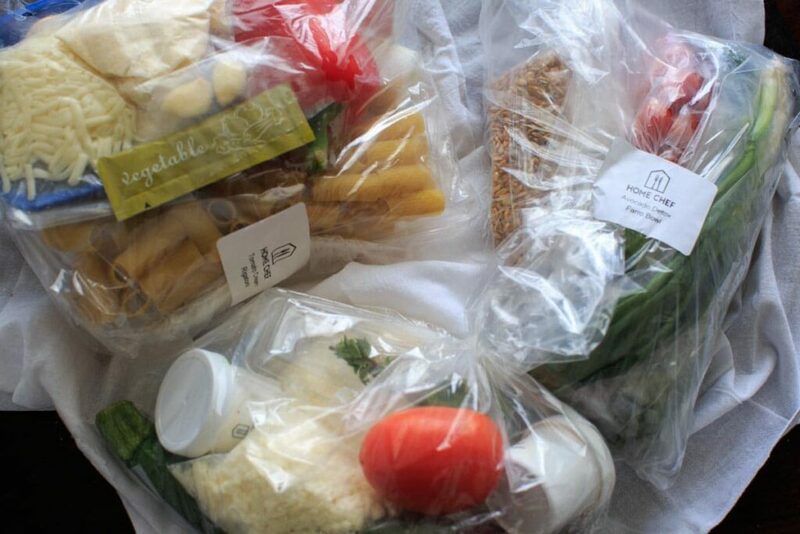 Each meal’s ingredients are in their own bag, which eliminates the need to sort through everything. The recipe cards are very detailed with what should be included in your box, what you’ll need from your kitchen, and instructions with pictures. The difficulty level on all my recipes was marked as “easy” and they all had 6 steps. Also on the recipe cards is a suggested window of time that you should cook the recipe after receiving it, I’m guessing based on how long the ingredients will stay fresh. This was helpful to know how long the food would last and prioritize what to cook first. There was one recipe (the pescatarian option, not pictured) that was missing a key ingredient (sweet chili sauce for sweet chili shrimp!). I didn’t realize this until I was already cooking. I e-mailed customer service and they credited my account $5, but I do wonder how often that happens. A couple of the labels were also missing on the little jars, but I could figure out what they were since there were detailed instructions. I also wish that the vegetarian meals were priced cheaper than the meat options since typically that would be true in a grocery store. On the other hand, if your goal is variety and learning new techniques, order more meals with fewer servings! 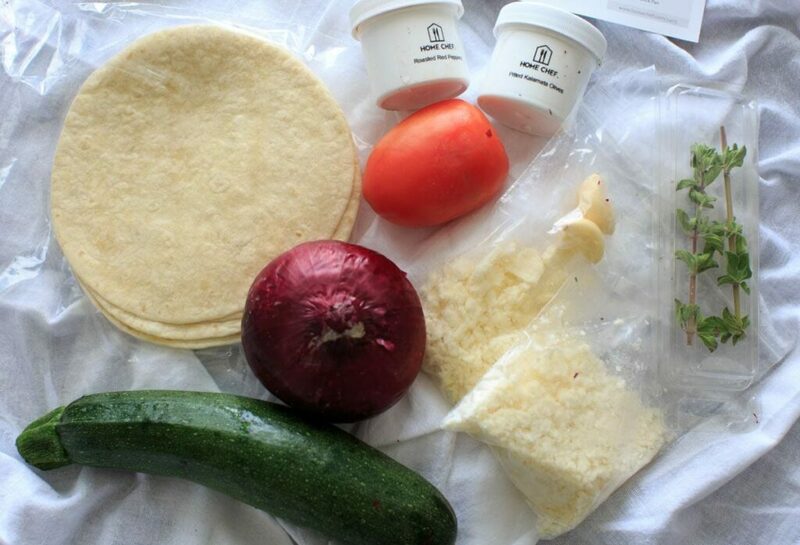 Check your meal bags right away and compare against the recipe card to make sure you have all ingredients needed. Hopefully a missing ingredient doesn’t happen often, but it’s better to find out before you start cooking! 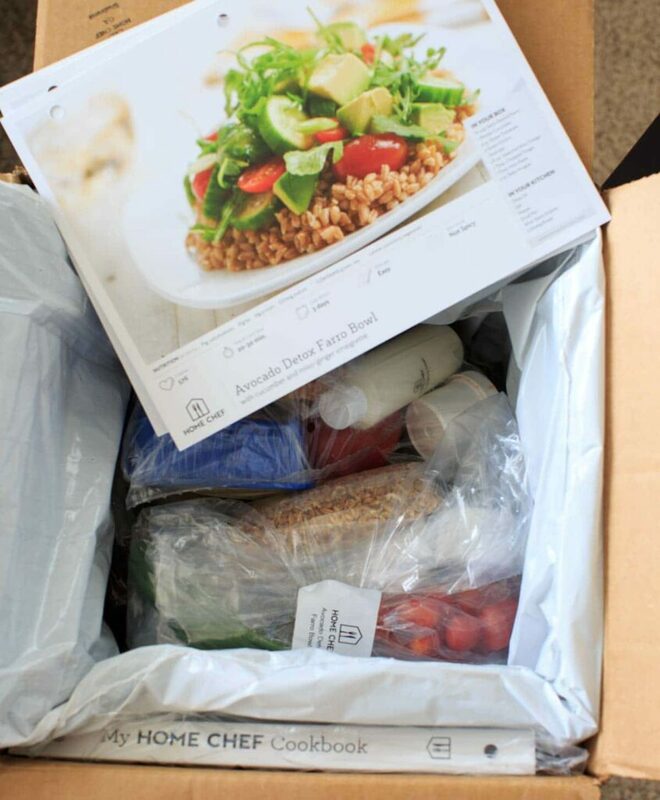 People who don’t have time to meal prep or grocery shop can benefit from a meal delivery service like Home Chef. Whether you know you have an unusually busy week coming up or even a week that you have company coming, this could be a good way to stock up on food and eliminate the need to eat out. But keep in mind you do still have to do the cooking! This could also be a good gift idea for someone who is hard to shop for but enjoys cooking. Pros: Save time on planning and shopping, learn new kitchen techniques, try new ingredients, less food waste. Cons: Still have to cook, can get expensive, possible that ingredients could be missing. Would I recommend Home Chef? I’d say it’s definitely worth checking out with the deals you can get on the first delivery. I wouldn’t use this all the time (I am a recipe creator after all), but I am interested to try other services like this in the future! Ready to try Home Chef? Use this coupon link for $30 off! 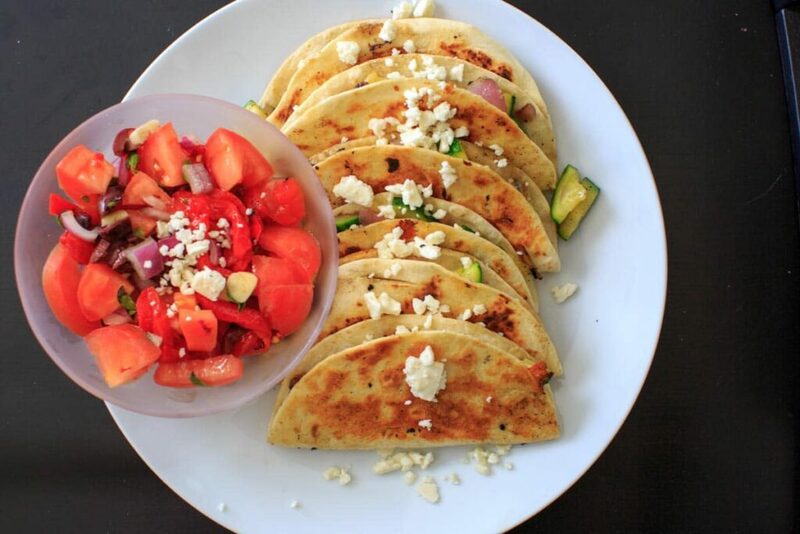 Have you tried Home Chef, or any other meal delivery services? I’d love to hear which ones you like or don’t like. Let me know in the comments! This sounds like such a great service! I’ve tried other recipe delivery services before but I’ll definitely have to give this one a go too! I really like these recipe boxes. As I am someone who struggles with food waste, I live on my own so imagine how when I need one tomato I end up buying a whole pre-packaged pack and rest goes in the bin. While these pre-measured boxes make sure that they send you the right amount of each ingredient. I need to try one of these some time. I feel like it would be a great supplement for those nights when I have no motivation! I love the idea of a meal service but have never pulled the trigger to actually try one. It would be so nice to have at busy times of year or even during the work week. I’ve had quite a few recipe boxes here in the UK. I love the convenience and how it breaks you out of your cooking comfort zone!